Learn the techniques of plant breeding with this unique course. Work in a huge industry. Gain knowledge with this solid introduction to plant breeding. A useful qualification for career advancement. Learn from industry experts – our tutors. Learn the techniques of plant breeding and advance your career! Plant breeding is a bigger industry than most people realize. In some places, earnings from plant breeding rights can equal or exceed earnings from actually producing plants. Today's nurseryman needs to understand plant breeding and selection; and to this end, this course is a very valuable and unique course for anyone working in the modern industry. Start at any time and study at a pace to suit you. Use of Pollination Biology in Plant Breeding: Pollination Process, Pollination Requirements, Cross Pollination, Fertilisation, Male/Female Recognition, Overcoming incompatibility, Post Fertilisation, Pollen Selection, Floral Introduction etc. Describe gamete production in plants. Explain the results of mono hybrid and di-hybrid inheritance in plants. Investigate the role of systematic botany in horticulture. Explain a variety of different plant breeding techniques. Review current developments in plant breeding. "I am very pleased and impressed with the way that ACS recently handled my submission. This included acknowledgement of receipt of my answers, finding a specialist to answer a specific subject enquiry, and a tutor to mark the work in the temporary absence of Katie. All three were both professional and helpful, contributing to my enjoyment and acquisition of interesting, useful knowledge from the Plant Breeding course". John Mason (Horticulturist)Horticulturist, Nurseryman, Landscaper, Garden Writer, Parks Manager and Consultant. Over 45 years experience; working in Australia and the UK. He is one of the most widely published garden writers in the world; author of more than 100 books and editor for 4 different gardening magazines. John has been recognised by his peers being made a fellow of the Institute of Horticulture in the UK, as well as by the Australian Institute of Horticulture. Roses There are few things as uplifting as being greeted by the sweet fragrance of roses from your own garden. If you have always wanted to grow roses, or perhaps improve an established rose garden, make sure you are armed with the right knowledge! Learn from the masters in horticulture. This wonderfully colourful ebook will teach you everything you need to know about the passion of growing roses. Scented Plants Scented plants can be either a delight or a curse. For many people, there is nothing more pleasing than a garden filled with fragrance, but for others who suffer allergies, certain plants can make them physically ill; sometimes very seriously. Tropical Plants This luscious, illustrated ebook covers hundreds of different plant genera, and many more cultivars. You will learn how to grow plants commonly cultivated in the tropics and subtropics. It contains everything you need to know about growing tropical plants, managing them and working with them (they can be a little temperamental). 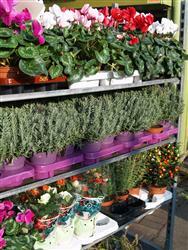 Many of the plants can also grow in milder climates as indoor plants or in protected places. Previously published in print form by Kangaroo Press (Simon and Schuster). Orchids A colourful guide for students, home gardeners and orchid enthusiasts. The first part deals with growing orchids, and the second covers dozens of orchid genera, and hundreds of cultivars. Explore orchids as cut flowers, container plants, indoor plants and outdoor garden plants, in both tropical and temperate climates, across the world.